First Nation councils may soon be able to impose a $250 entry fee for candidates seeking to run for chief and council positions, according to regulations proposed by the federal government. 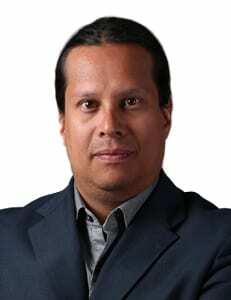 The regulations are part of the recently passed First Nations Elections Act. First Nations can’t hold elections under the opt-in legislation until the regulations get approved by the federal cabinet. The proposed regulations were published in the Canada Gazette on Friday. Under those regulations, band councils, through a resolution, may impose an up to $250 fee for anyone seeking to run in a band election. The electoral officer would then hold the candidacy fees in trust until after the election. “The requirements will result in committed candidates, some of whom will become dedicated leaders. Committed and dedicated leadership making sound decisions in a First Nation can have significant impacts on the overall well-being of the First Nations and their members,” states an analysis on the proposed regulations written by the Aboriginal Affairs department. Candidates who get more than five per cent of the vote would get their money back. The band gets the candidacy fees of all candidates who get less than five per cent of the vote. Any candidate who withdraws before the election would also lose their money. Other proposed regulations would tighten control of mail-in ballots, which will now only be sent to individuals who write in requesting them. The proposed regulations also provide bands the ability to hold advance polls. The regulations also give band councils the power to appoint electoral officers, which is currently a ministerial power under the Indian Act. The minister will still be able to appoint electoral officers if the band council fails to form a quorum to decide on the issue. The proposed regulations were developed in consultation with the Atlantic Policy Congress of First Nation Chiefs and the Chiefs of Ontario. The First Nations Elections Act gives cabinet the power to set the regulations. The law received royal assent on April 11, 2014. Under the law, First Nations can set four-year terms for their band councils. The law also sets out and defines electoral offences and creates penalties that can range from fines to jail terms. The law also takes the department out of the equation when it comes to appealing electoral results and makes the courts the final arbiter. Of the 617 First Nations in Canada, 238 hold their elections under the Indian Act rules, 343 have their own custom codes and 36 are governed by self-government agreements. The public now has 30 days to respond to the proposed regulations. Aboriginal Affairs senior policy analyst Marc Boivin is the point person for receiving the public comment.